Black hair color looks like “shoe polish.” Help!! Black Hair Color Solution 1:Have a professional hairdresser heavily high light hair with a lightened like bleach and then tone the lightened strands to a very dark brown, giving the hair an overall lighter appearance. Unless your hair is already quite damaged from previous chemical treatments, this process shouldn’t ravage your hair. Just be sure to fully explain to the hairdresser what you have done to your hair and what you are trying to achieve as an end result. Black Hair Color Solution 2:If you want your black hair color gone and replaced with a lighter hair color, another suggestion might be to try a hair color remover. A hair color remover is best done by a professional hairdresser, although you can pick up a DIY version from your local beauty supply store. The hair color remover works to break up the hair color molecules and lightens hair. You then need to recolor hair to a desired hair color. For DIY readers out there, I would suggest using a shade of hair color that is one shade lighter than what you want to achieve in the end. The reason I first suggest getting this process done by a professional is that hair color remover can be unpredictable in the outcome. It needs to be applied evenly and watched closely as to when it should be taken off the hair. You need to lift out the right amount of color from your hair and deposit a color that works with your new strand hair color. A professional has experience with this type of color correction and can control the hair color more so than if you were to do it at home. Annette, as far as your gray hair re-growth is concerned, I would first suggest choosing either solution above for a temporary fix for your black hair color. Then, as your gray grows in, use a demi-permanent hair color, like Redken Shade , to color the re-growth. This will blend in grays as they appear, while allowing the rest of the color to grow out. Keep in mind that whenever you are doing several chemical processes like this within a short span of time, it is a good idea to also do a deep conditioner or protein conditioning treatment for your hair to maintain the integrity of the hair. 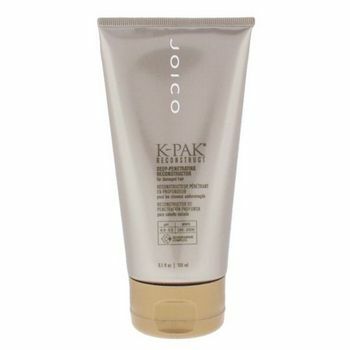 Try one like Joico’s K-Pak Deep Penetrating Reconstructor , which leaves the hair feeling soft and revitalized. Barb has an black hair color article that might help as well. October 6, 2009 By: Paul Lynn Leave your comments (1), Your input matters. I am 30 this year and have been dying my hair for the last 16 years red or some shade or tint of red… but for the last almost 5 years I have been dying my hair black…to my and many hairdressers surprise my hair is still very strong and healthy… it is very long and thick… I want to strip it just ONCE to lighten it up even if just a little…light enough to dye it a lighter color…and nothing to light…still kind of dark…just not as dark as black… do you think that stripping it once could really damage my hair? ?